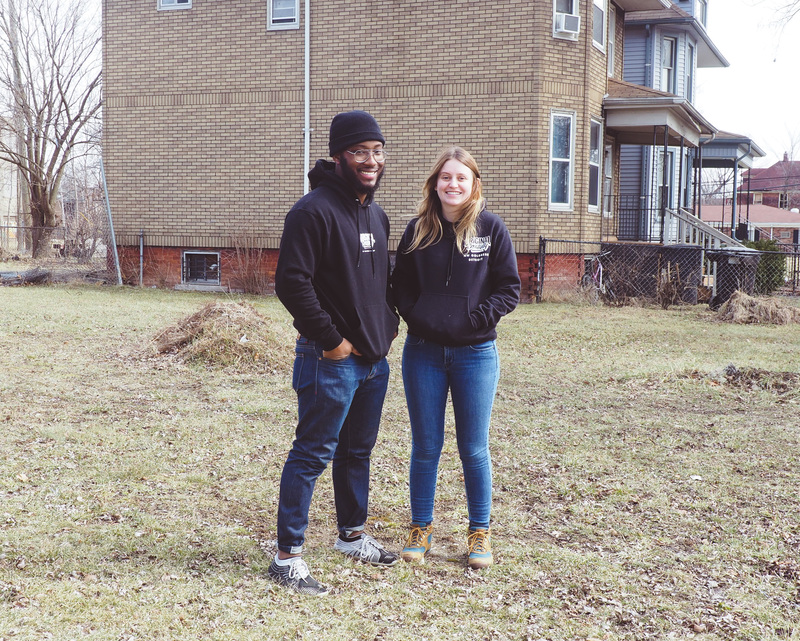 Detroit Future City’s (DFC) Working with Lots Program aims to accelerate vacant land revitalization in Detroit using the Field Guide to Working with Lots. The program has three components: a grant program, a workshop series, and a maintenance program. The Working with Lots Program encourages community groups, faith-based institutions, non-profits, and businesses to install one of 38 lot designs to activate community spaces, address stormwater concerns, and create more attractive neighborhoods. 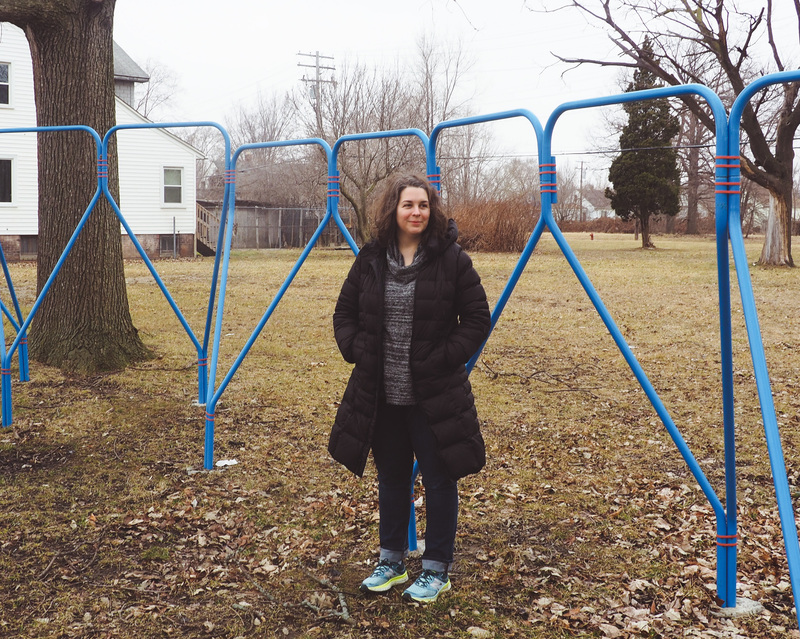 The program awarded its first cohort of grantees in 2016, with installations taking place throughout the city of Detroit. Since then, DFC has invested over $330,000 in communities and vacant land transformation through the Working with Lots Program. The Working with Lots Grant Program has been funded by the Erb Family Foundation and the Kresge Foundation. Groups interested in using the Field Guide to activate a lot in their community can email info@detroitfuturecity.com to speak with a member of the Field Guide team. Detroit Future City awarded a total of $97,000 to nine groups to install, maintain, and program one of eight lot designs found in the Field Guide. Detroit Future City’s Working with Lots Program launched a workshop series in 2019. 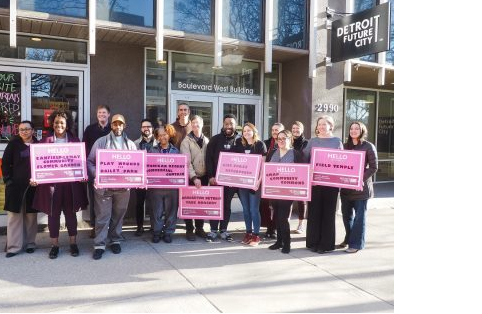 We are partnering with different Detroit organizations and businesses to offer workshops aimed at strengthening skills and capacity to successfully install Field Guide lot designs on your property and implement land-based placemaking techniques. 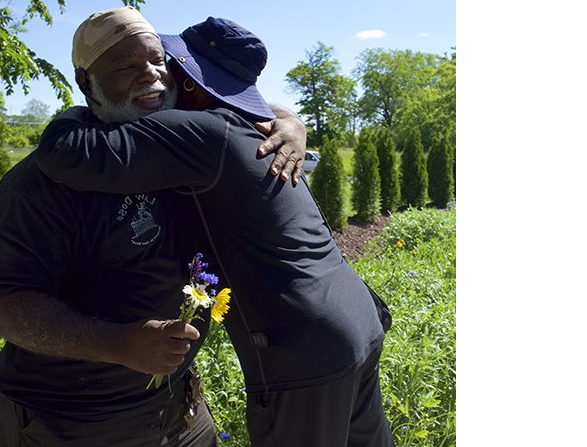 Arboretum Detroit is an organization dedicated to building community and growing an arboretum for Detroit. 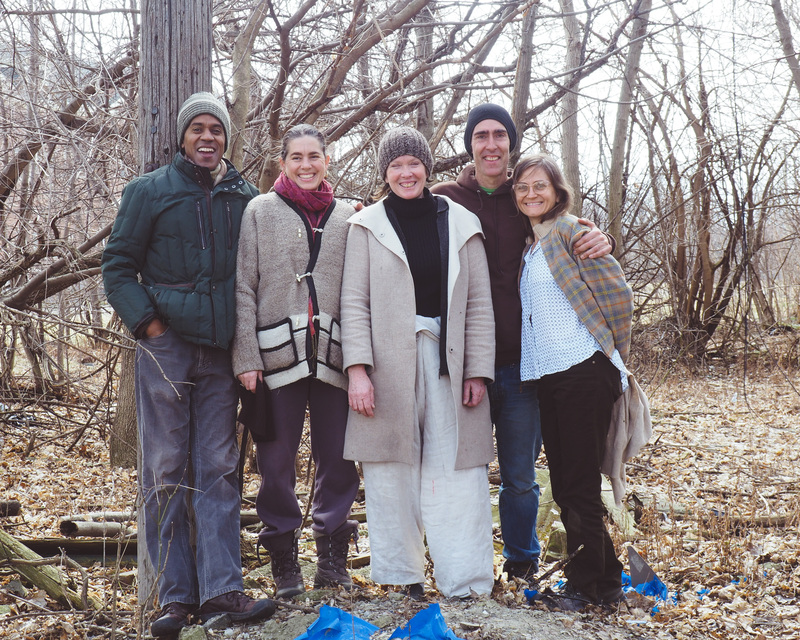 Their mission is to reforest Detroit’s landscape with stands that exhibit the form and diversity of trees, education about the cultural, ecological, aesthetic, and economic role that trees play in our lives locally and globally. They plan to use their Working with Lots funds to install the Hedge Fund design as a way to begin their formal arboretum operations in Detroit. Getting the trees into the hands of community stewards will be an integral part of this nursery, as it grows to support their larger reforestation vision while engaging their neighbors in land stewardship. 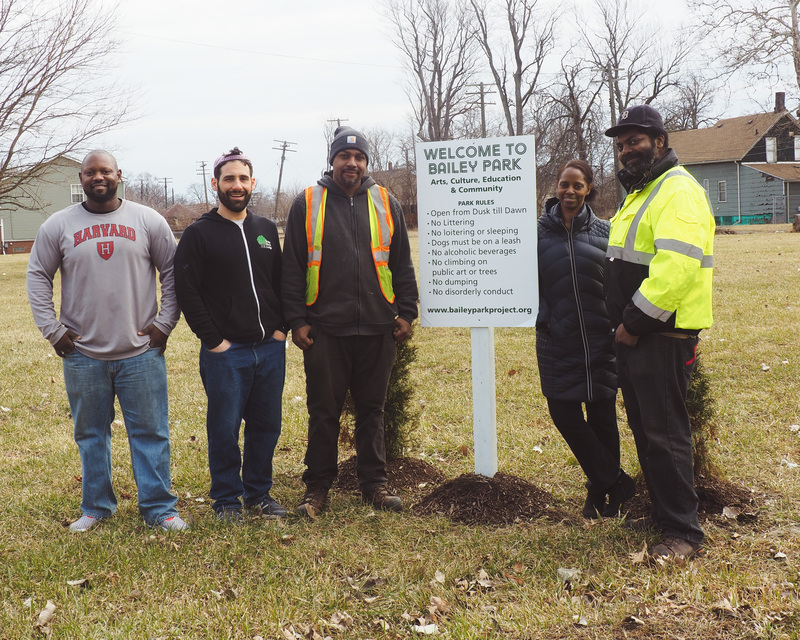 Established in 2013, the Bailey Park Project (BPP) was created to support a growing desire for community engagement and organizing in the neighborhood. They began by initiating community clean-up projects – picking up trash, removing dead trees, and clearing overgrowth from vacant lots. BPP’s work has now expanded to include social and environmental impact projects to address poverty, blight, and unemployment. BBP will use their Working with Lots grant to install the Mounds of Fun Lot Design, which features three large mounds of varying sizes. Their motivation is to stabilize the McDougall-Hunt neighborhood by creating an innovative and safe public space where residents can have recreation close to home. BBP believes this project will provide a space for families to recreate close to home, which is vital for a healthy neighborhood. Committed to redeveloping and engaging the East Canfield community, Canfield Consortium’s vision is to foster a spirit of community which will revitalize, strengthen, and promote a flourishing and economically sound neighborhood. 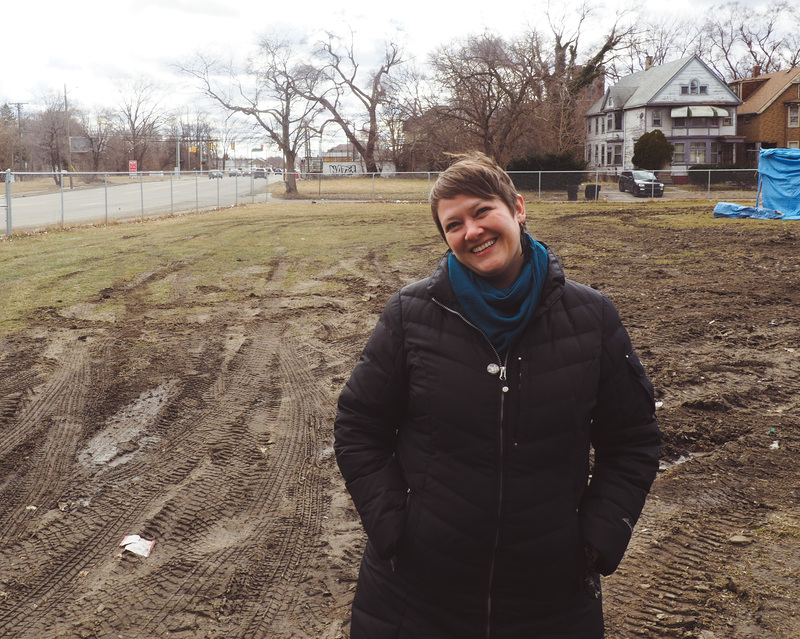 Canfield Consortium received their first Working with Lots grant last year and successfully implemented the Party Lot Lot Design, which has acted as a catalyst for getting neighbors more involved in the beautification of their community. 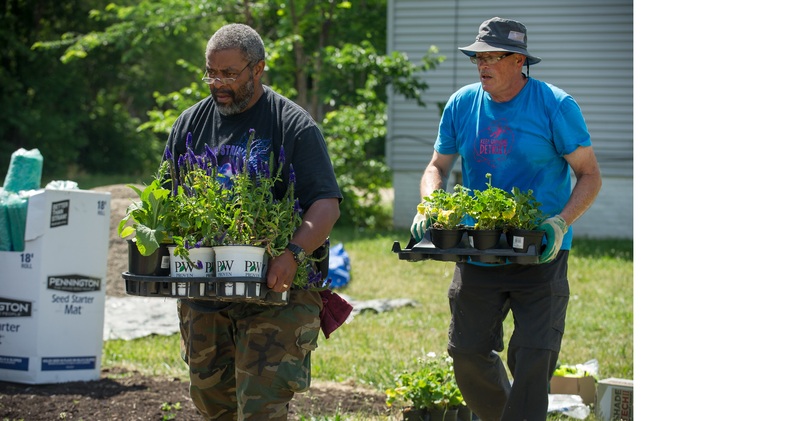 Inspired by the neighborhood response to last year’s project, Canfield Consortium will use their 2019 grant to install the Perennial Propagator Lot Design. The design focuses on perennial plants that quickly spread and can be easily divided and shared throughout the neighborhood. This project will allow residents, businesses, and churches to foster a community through local partnerships and year-round activities and events that maintain the garden and build momentum in the neighborhood. Carrie Morris Arts Production (CMAP) creates and supports performance art and artistic exploration in a way that is inclusive, intimate, and community-centered. Since 2012, they’ve provided opportunities for artists who are typically underrepresented in the arts community and support artists who may not have access to other modes of funding. They strive to include residents in the revitalization of their own neighborhood and involve local community groups, neighbors, and non-arts-based organizations in the creation of their performances. CMAP will use their Working with Lots grant to install the Mounds of Fun Lot Design. The design installation is part of CMAP’s larger plan to establish an outdoor amphitheater, welcoming public green space, and children’s playscape across 12 vacant lots that will serve the West Campau/Banglatown neighborhood. Since 2007, Downtown Boxing Gym has been teaching kids growing up in Detroit’s toughest neighborhoods valuable life lessons—both inside and outside the boxing ring. By providing mentorship, tutoring, and basic needs support (like transportation and food) for students, Downtown Boxing Gym-Youth Program creates a lasting impact that ripples out across the community. The philosophy behind their motto ‘Books before Boxing’ has supported 267 high school graduates and continues to help maintain their 100% high school graduation rate. Recognizing the importance of sustainability, Downtown Boxing Gym will use their Working with Lots Grant to install the Organic Bowl Lot Design, a large open area below street level, that will manage stormwater runoff from their 27,500 square foot warehouse, while enhancing their outdoor community space. 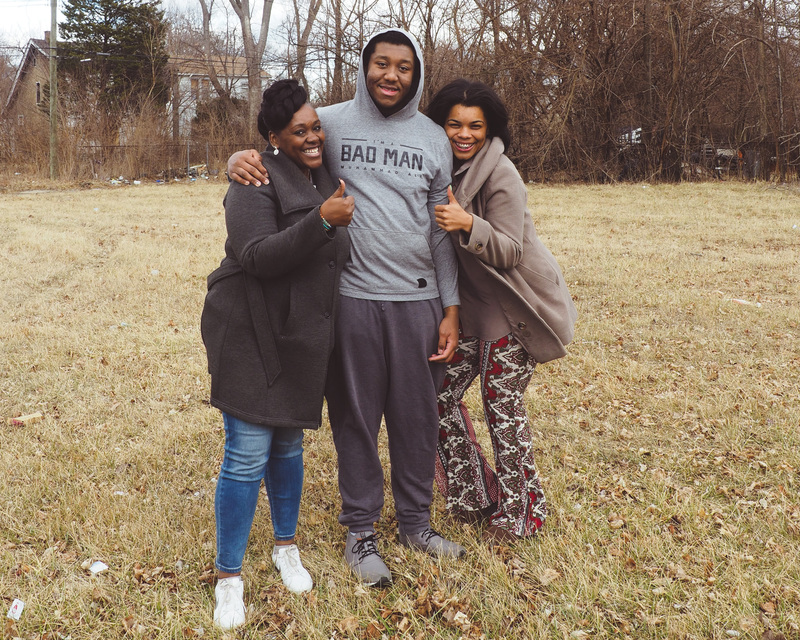 EcoWorks is a Detroit nonprofit with a 38-year track record of accomplishments providing services at the intersection of community development, sustainability, and social justice. While their roots are firmly planted in energy conservation, they have grown to emphasize all aspects of sustainable development. Their efforts have generated more than $30 million in energy savings, secured over $5 million for local governments to invest in sustainability projects, and placed more than 270 trainees in green jobs. 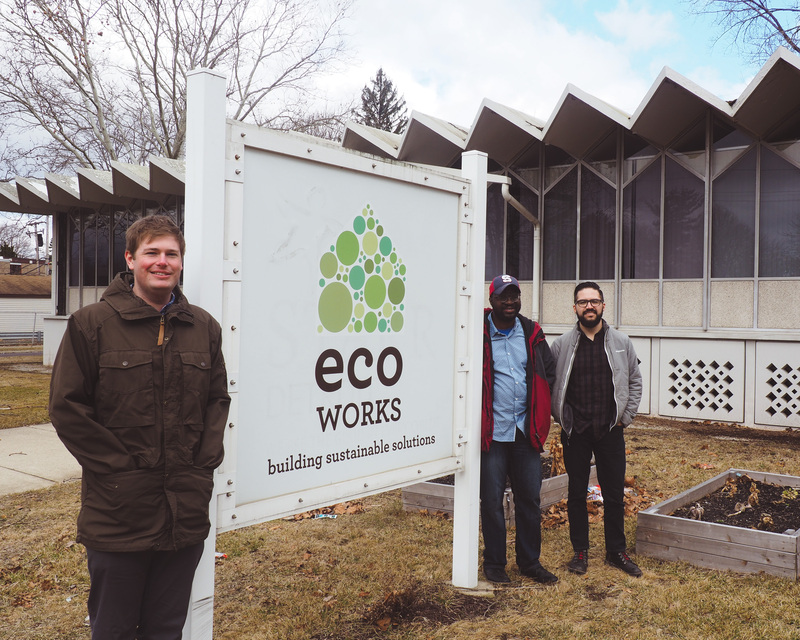 EcoWorks will use their grant to install the newly added Storm Soaker Lot Design on their campus, a quarter mile away from the Rouge River, to manage stormwater runoff from their roof and parking lot. They see this project as an opportunity to fulfill their mission and to become a technical resource for Detroiters looking to take on similar projects. With the installation of this stormwater practice, they aim to qualify for DWSD drainage fee credits. Field Temple is working in their community to create a meditation space that cultivates beauty, refuge, and tranquility and is accessible to all who walk in the neighborhood. 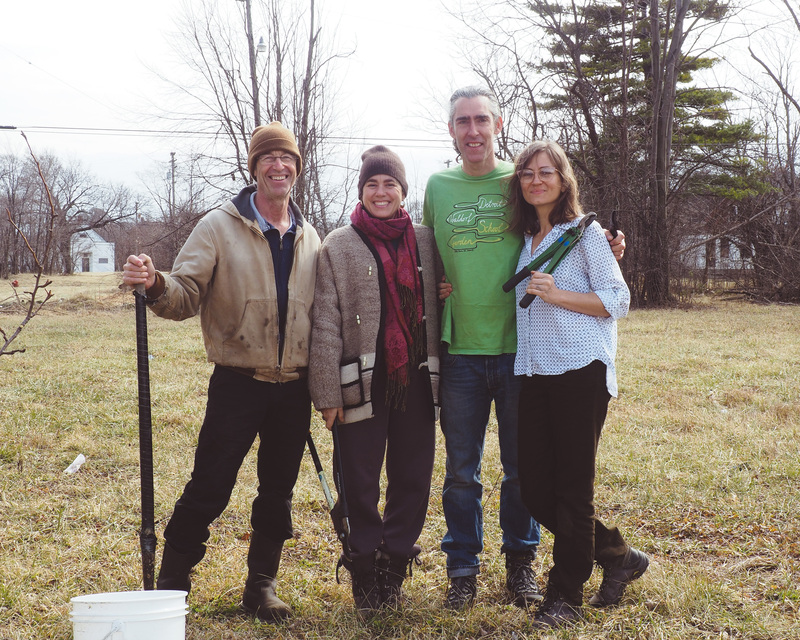 They practice Buddhist philosophy and currently hold meditations, community gatherings, and storytelling at the lot. Field Temple plans to use their grant to install the Forest Patcher Lot Design. This design curates existing resources to improve wildlife habitat and biodiversity, eliminate dumping, and create a naturalized aesthetic and community space. The group wants to add native trees and perennials to enhance an ecosystem that is often underappreciated. This project will give members of the community a space for passive enjoyment and an opportunity to connect more intimately with nature. 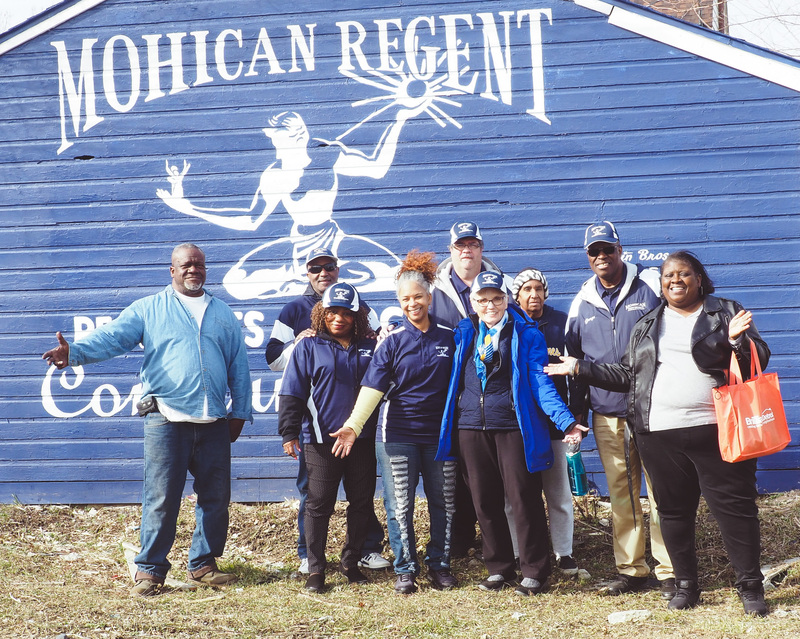 Founded in 1945, the Mohican Regent Residents Association (MRRA) is a non-profit community organization dedicated to creating and maintaining a safe environment where residents can live, work, and play. The organization encompasses over 1,200 homes located within State Fair to Gratiot Ave, and Eight Mile to Schoenherr Rd, and they serve as the eyes and ears of the community. The MRRA plans to use their Working with Lots Grant to install the Commercial Curtain Lot Design on a vacant lot adjacent to Gratiot Ave near Eight Mile Rd. They plan to transform this lot into a community garden and make a visual impact in the neighborhood through gardening, blight remediation, and beautification. They are working with community members and businesses to foster a sense of community pride and ownership in the residents of Mohican Regent. NW Goldberg Cares aims to improve upon the lives of residents in the predominantly African-American community by incubating neighborhood businesses, building a strong community, and ensuring a family-friendly neighborhood. Formerly known as ORIGINAL CREATIVITY, the non-profit seeks to create a sense of fellowship, and recognizes that a community is more than a group of people living in the same place. NW Goldberg Cares will use their Working with Lots Grant to install the Holland Maze Lot Design, inspired by the tulip fields of Holland with rows of lavender and a small rain garden. This project will be an opportunity to share the benefits of planting a garden with the neighborhood, repurposing space within for creatively, intentionally, and beautifully-designed community space. They want to show residents that together, they can actively change land, which can lead to the creation of a strong and revitalized neighborhood. View the full, interactive Field Guide online now.